At The Ampersand, we understand that travelling with children in London can sometimes be difficult. That is why we have organised a range of family-oriented services to make your time with us as simple and stress-free as possible. Exploring London can be tough on little legs, but with our South Kensington location — just walking distance from the Natural History Museum, Science Museum, Kensington Gardens, Princess Diana Memorial Playground and Hyde Park — you have easy access to some of the capital’s best destinations for children. We also have a tube station right outside if you want to explore further afield. Our reception team is at your disposal to assist with booking any family activities in London, as well as organising babysitting services. We have a range of child-friendly services at The Ampersand. All Deluxe Rooms, Deluxe Studios and Suites can accommodate an additional cot or fold-away bed (for children up to the age of 12) free of charge, and many rooms can interconnect. In all Deluxe Studio’s and Suites, we offer complimentary extra beds for up to one child. Our suites are complete with small kitchenettes, fitted with microwaves, kettles, toasters and fridges. All rooms can come with (on request) child-size bathrobes and slippers, children’s toiletries and activity packs. All our rooms also come with complimentary soft drinks, tea & coffee and free Wi-Fi. Please note: When installing beds and cots in rooms, we can only accommodate one or the other, not both. Thank you for your understanding. 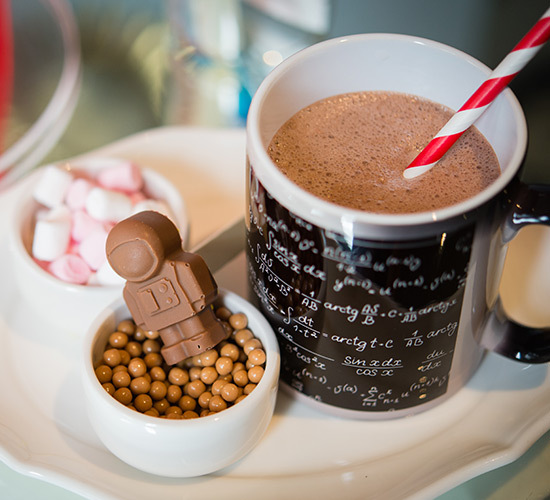 We offer a children’s menu in Apero, which you can download here. We are always very happy to accommodate special requests. All children aged under four receive complimentary continental buffet breakfast. All children aged five to 12 receive continental buffet breakfast at £8, and 50% off for ‘a la carte’ dishes. All children over the age of 12 receive continental buffet breakfast for £16 and pay full price for ‘a la carte’. 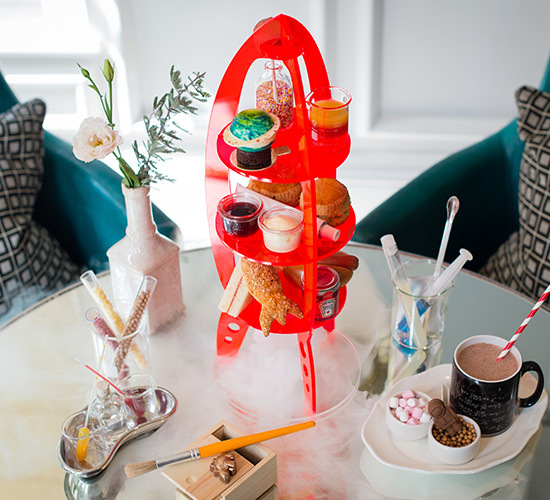 Don’t forget to try our Kids’ Sci-Fi Science Afternoon Tea, which is a huge hit with families. We also organise fun and entertaining children parties — visit our page here to find out more. You will shortly receive an email with instructions on how to opt into our newsletter. Please opt in if you wish to receive the latest updates from the Ampersand Hotel. You can expect to hear from us about the latest hotel news, events, local area insights and more.